Super Smash Bros. Ultimate's 3.0 update will add a detailed Stage Builder for free, with players able to build and share their own custom stages. Nintendo has left an avalanche of new information for Super Smash Bros. Ultimate and the upcoming Version 3.0 update. The update is set to arrive on Wednesday and will offer up the first Challenger Pack character, Persona 5's Joker. But what about the free stuff that's set to arrive with the 3.0 update? There's plenty of that coming, too, headlined by an all-new Stage Builder. 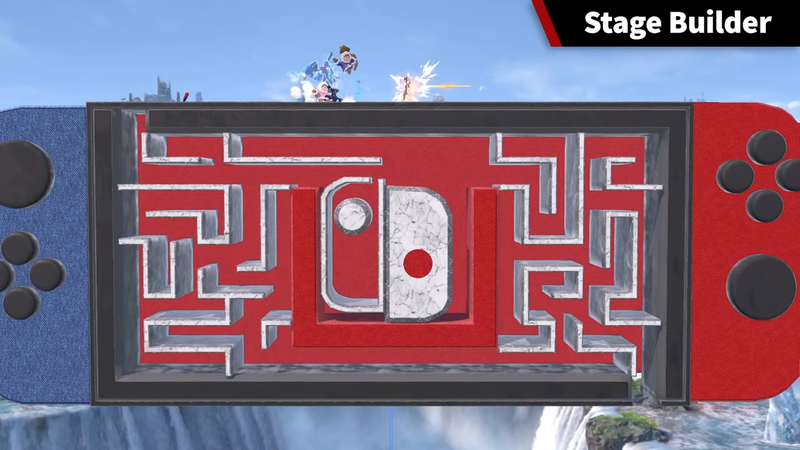 The Stage Builder may look familiar to those who played Super Smash Bros. Brawl, but this is no mere rehash of that game's custom stage creator. Ultimate looks to take things a step further by allowing for more intricate creation via the Nintendo Switch's Handheld Mode. 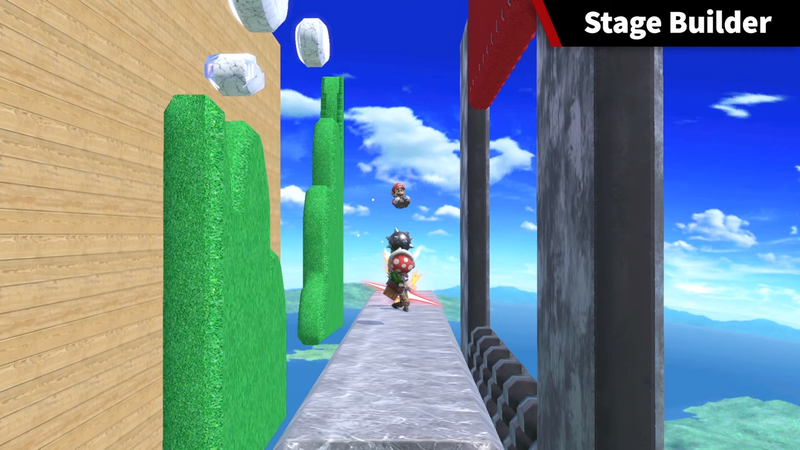 That opens the door for players to draw their own platforms and also add in various effects, such as moving platforms. Beyond that, creators can build stages with distinct visual effects that cue up over the course of a game. Adding to the possibilities is the inclusion of multiple layers. Multiple layers offers the chance for players to toss in decorations and make their stages truly stand out. Custom stages can be accessed from the Custom tab on the Stage Select screen. If you build something particularly artistic and wish to share it with other players, Version 3.0 will also add in a Shared Content feature. This allows players to share their stage creations, as well as replays and screenshots. While sharing is theoretically free, uploading and downloading content will require a paid Nintendo Switch Onlin membership, so make sure you're up to date. Super Smash Bros. Ultimate 3.0 is set to arrive on Wednesday, along with Persona 5's Joker.